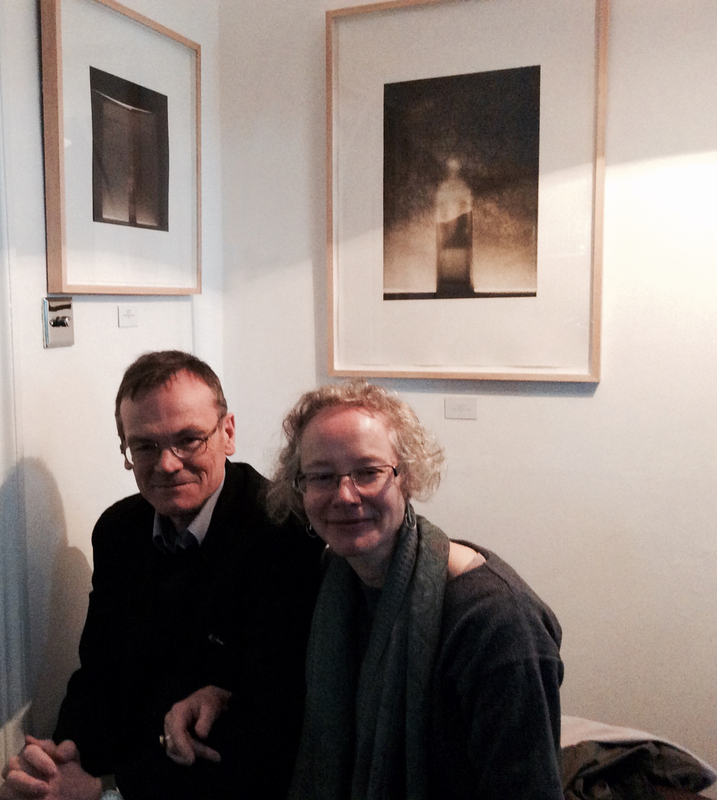 My first exhibition at Wall Projects, in Montrose, opened 28.02.15 and is open until 21.03.15. Kim Canale who runs the gallery has been extremely enthusiastic about the work and it looks great in what is her gallery and home. 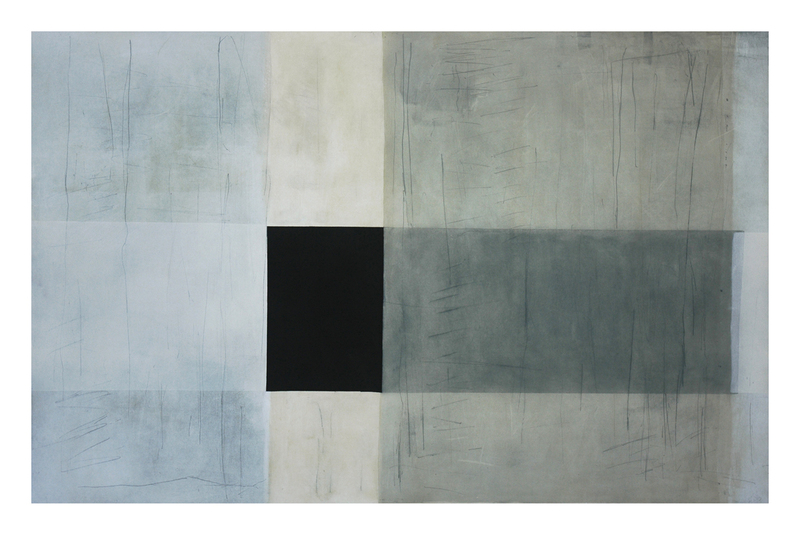 Abstractions includes works from 2000 to present day, showing my transition from pure abstraction into more figurative representations, including work from the Appositions series, Cardinal Glimpses and my more recent, Ghosts. This ‘taster’ exhibition previews my solo exhibition at The Sail Loft @ The Old Rope Works, WALL PROJECTS II, April 2016 and will show more of my recent photographic works. 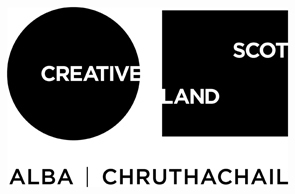 Check out the major new cultural powerhouse in the North East of Scotland! In November 2013, Gloria Alonso Gonzalez, the etching studio assistant at Kulturwerk BBK Print Studio in Berlin, visited Glasgow Print Studio (GPS) to shadow my own work photo-etching. I planned to make a 3-plate, colour, photo-etching with her, demonstrating my use of Photrak, a light-sensitive emulsion on large steel plates. The emulsion can be rolled onto the plates in the same manner as relief printing ink and allows for the translation of very small dots from a positive film. The resulting print is created from three layers of transparent colours printed in layers. In July 2014, I then visited BBK in Berlin to teach a small group of students this method of colour photo-etching, working again with Gloria. Located in Bethanien, a Renaissance hospital, in the Kreuzberg area of the city, the print studio is large and wonderfully equipped. We took advantage of their digital area to print the films for each artist and then the dark rooms and etching studio to produce the copper plates. We had great fun and learned lots. For me, it is a real challenge to have to make this technique work for images that are very detailed and focussed as these are very different to my own. For most of the artists working with me, working with colour and multiple plates was new, especially for photographic images. Impact 8 was a hugely enjoyable and successful conference. As ever, my main problem was to decide, out of a huge range of subjects being presented, what to attend. I learned a great deal about new collaborations between art and science, and about our fascination as printmakers with old and new technologies. A paper on photography as a graphic art, by my colleague at Edinburgh College of Art, Ruth Pelzer Montada, was extremely informative, and, while we see one another to discuss subjects in Edinburgh, it was nevertheless, a luxury to be able to listen to Ruth lecture on the subject that is so close to my own work. A paper followed by John Phillips on his own photographic practice that was thoughtful and poetic. I loved his comparison of the architecture of the camera with that of the prison. And Monika Auch’s discussion of the intelligence of the hand added to my own thoughts on the importance of craft. In my own exhibition, Ghosts, I want to question the quality of photographic realism and it was extremely helpful to be able to get immediate feedback from people who are also practitioners. A majority seemed to believe in the reality of my model figures, even while they enjoyed the ambiguity of their environment. As I cannot get away from how they are made, this was really helpful to know. The prints I have worked on for this exhibition continue the theme of the seated and walking figure that has involved me for some months now. The chair back allows me to suggest that the figure is looking away from the viewer into a space that is hidden by the paper screen. I use a number of techniques. The large archival inkjet prints, while physically easier to print, are proofed many times, on screen and in print, before I am happy to say that the image is finished. Even then, I continue to work on different but similar versions, because the idea continues to occupy me. The most ambiguous images I have translated into three-plate etchings. I use very transparent ink so that each colour works with the others to create a shimmering affect. Smaller, photopolymer etchings also use two plates so that one colour can glow through another to create the final image. Registration can be problematic, but perseverance and precision win out in the end! 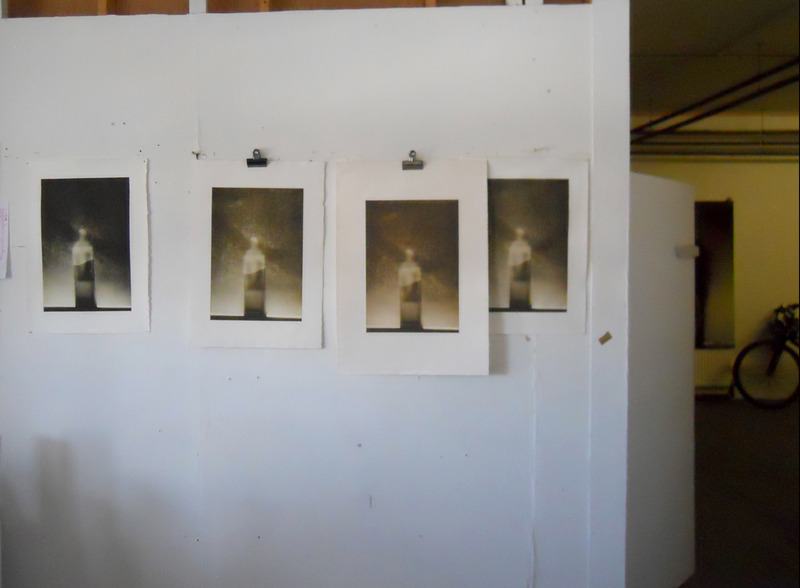 These are just a few of the proof prints I made for the 2-plate, photopolymer etching, Untitled (Spotlit). I was able to manipulate the colour in a very different way to the way I worked with the larger, digital, version on screen. While both media create rich results, I feel that I gain a greater knowledge of colour and its effect, through working physically with layers of ink. I am exhibiting at the Impact 8 International Printmaking Conference in Dundee, 28/8/13-1/9/13, where I will also be in conversation with Ruth Pelzer Montada. Called, Betwixt and Between, our topic for debate is the importance of intermediality in printmaking. A small exhibition in one of the University’s studios is suggestive and meditative, rather than descriptive and didactic. I represent the human form in ways that are timeless, genderless and ultimately fictional. Images are repeated in different media, on different scales, to create a dialogue between materials, between old and new media, between reality and fiction, between print and photography. Some images are familiar as I have continued to work on the same themes and to perfect new editions of Dusk Man and Walking Through. Sitting Man has become important to me; the simple prop of the chair allowing me to intimate that the figure is seen by us from behind and is looking away from the spectator. A FESTIVAL and exhibition took place in Korea, in September 2011, to celebrate the millennial anniversary of the first Tripitaka Koreana. The festival served to promote the value of the Tripitaka Koreana and Janggyeong Panjeon to the world. The Tripitaka, and the Haein-sa temple that owns them, have UNESCO World Heritage status. The Tripitaka are the Korean collection of 80 000 Buddhist scriptures, carved onto 81 340 wooden printing blocks. The original set took 77 years to complete, and was finished in 1087. However, it was destroyed in 1232 by a Mongol invasion. King Kojong ordered the set remade and work began in 1236. It was felt that replacing the wood blocks would convince Buddha to intervene and help repel the Mongolian invaders. Originally carved on Kangwha Island, they were moved to Haein-sa Temple during the early years of the Yi dynasty in the late 14th century. The blocks were carved by monks using wood from silver magnolias, white birches, and cherry trees from Korea’s southern coast. They soaked the wood in salt water for three years before cutting the individual blocks. Each sections was boiled in salt water then dried before being planed and carved. The blocks are stored in four storage halls in the northern side of the Haein-sa temple. The foundations are reinforced with charcoal, lime, and clay to help maintain a constant temperature and control humidity. When they were made, relief-printing from carved wooden blocks was the most progressive and efficient way of duplicating text. As well as celebrating the history of the ancient blocks, the Tripitaka Festival celebrated the technological and expressive advances made in print, internationally, during the thousand years following the production of the Tripitaka. To this purpose, 72 artists were invited from 42 countries to produce artworks on the theme of “the mind” for exhibition during the festival. Artists were invited to interpret this theme in the broadest possible way. Prints, book art and installations were part of the 130 pieces in the exhibition. Bill Viola, Sonam Dolna, Blake Carrington and Zu Bing are among the artists invited to make work during the festival. I was invited to represent the United Kingdom. I made a suite of prints, Ghosts, that use the positive and negative forms of three photographs. 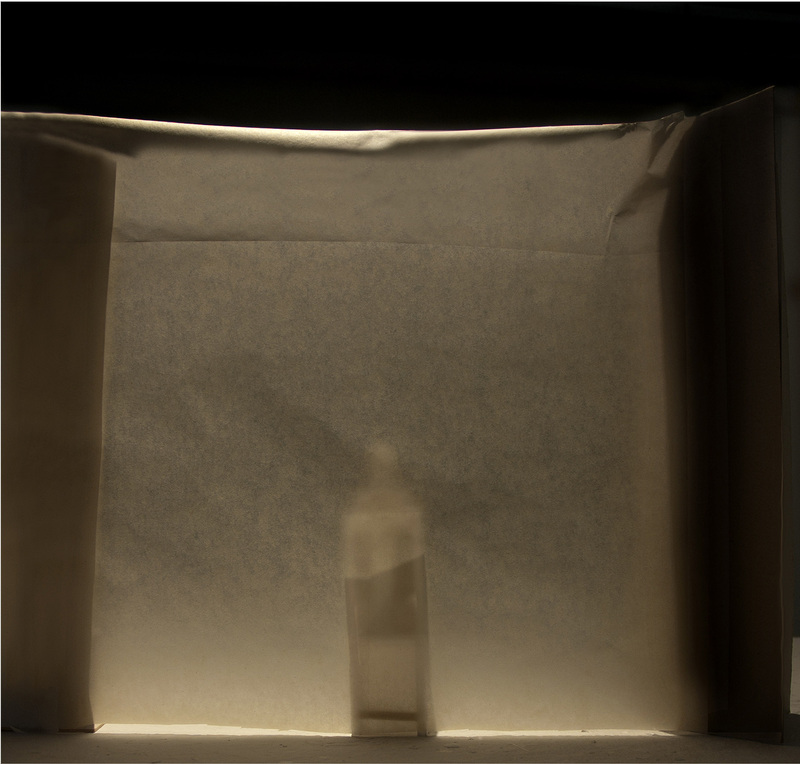 The photographs are ofsmall-scale models made in my studio. The figures stand or walk, alone or in pairs. They are silhouetted against the light from the studio window and a translucent paper is positioned between them and the camera almost filling the picture plane. I want to emphasize their existence in another space, a fictional, imaginative space behind the picture plane, which they are close to, but always behind. The small gap at the bottom of the paper screen allows glimpses of what might be feet, but might easily be clay, The creases and folds of paper are detailed and ‘real’, but the human forms behind are intentionally more difficult to interpret. The paper is my interpretation of the barrier between people, between one mind and another. I will be showing new work at Glasgow Print Studio in February. Initially conceived as an exploration of the links between alternative photographic processes and fine art photographic printmaking (printing with ink), Blueprint has grown in scope to encompass seven exhibitions, organized visits to five important archives, a programme of lectures and tie-ins with various engineering organizations. 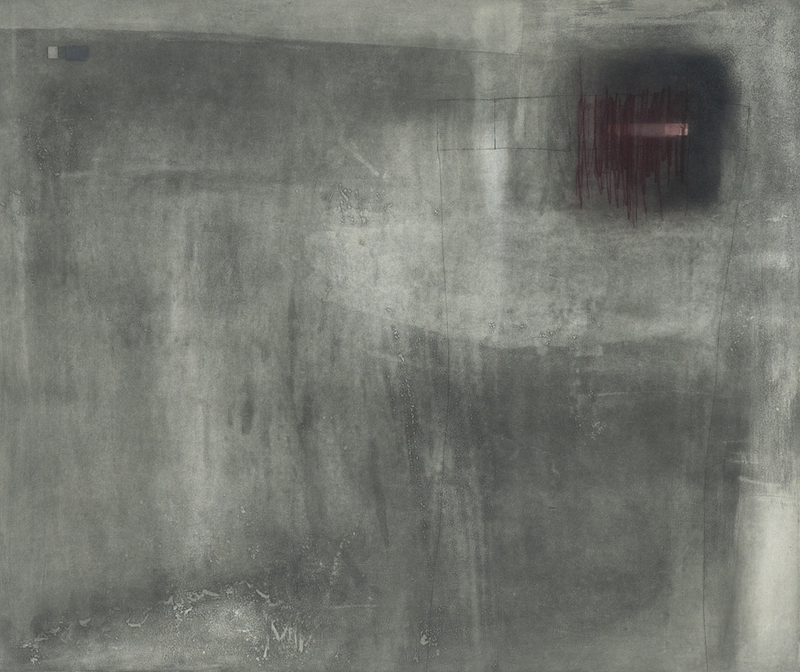 Cell 16 is part of a series of works exploring the depth from the picture plane created by the photographic image in comparison to the richly textured planes of abstract colour printed from etched steel plates. This combination of digitally-printed photographs and traditional etching show very clearly the intermedial possibilities available in contemporary printmaking. Low Sun and Man on Chair are shown here for the first time. They are archival pigment inkjet prints, the first I have printed on Canson Photographic Digital paper I received as an award from the Krakow International Print Triennial. I use the representation of the human form, rather than a metaphor for the figure, here. The photographic quality is essential to my play with ‘realism’ in these images. Krakow International Print Triennial 2012: the opening! The main exhibition of the Triennial opened on Friday 14th September in the Bunkier Sztuki Gallery of Contemporary Art in Krakow. Other exhibitions are in the main Museum of Krakow, the International Cultural Centre and the Palace of Art. During 2013, parts of the main exhibition will travel to Istanbul, Falun and Vienna. All kinds of graphic art were evident, digital images now one with the more traditional media of etching, lithography and screenprint. 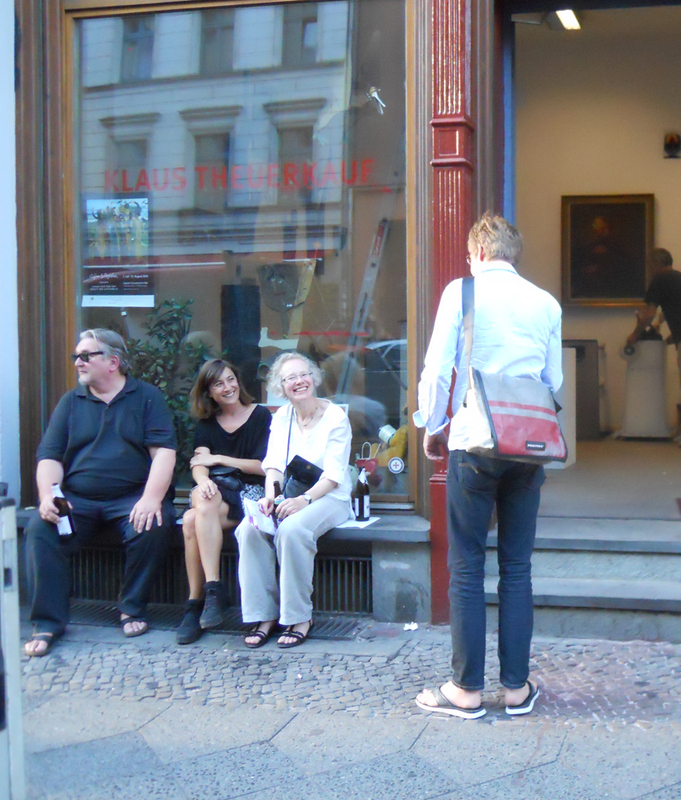 The opening event was crowded with people wanting to see the cornucopia of images. I wanted to explore the photograph as a window into another world in this series of images. Archival inkjet prints of photographs are over-printed with very deep, rough textures: these are printed from steel plates deeply etched with cross-hatched lines and rough aquatints. The surfaces block your view of the ‘scene’ beyond them and create a distance between the space of the spectator and that of the subject. They bring attention to the framing of the image by the camera – to the kind of selection of subject matter made by the photographer.